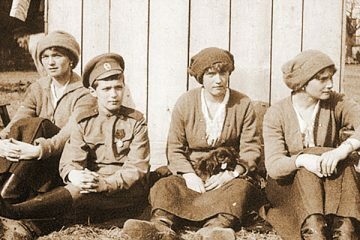 The 20th cen­tu­ry was a dif­fi­cult time for Ortho­dox Chris­tians on the ter­ri­to­ry of the Russ­ian Empire, which became the USSR after the Great War, the Octo­ber Rev­o­lu­tion and Civ­il War. But the more the Church endured per­se­cu­tion, the brighter the lanterns of faith and piety shone in the Russ­ian land. From the Tsar and the mem­bers of the Roy­al Fam­i­ly close to him in spir­it, from arch­pas­tors and sim­ple monas­tics, priests, dea­cons to layper­sons came forth a pow­er­ful spir­i­tu­al army of the Church Mil­i­tant. 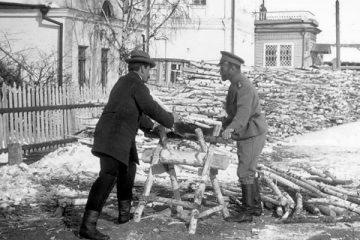 By 1918, the Russ­ian Church showed two sorts of podvig—that of mar­tyr­dom and that of con­fes­sion. Thank God, today we see how the blood of many mil­lions of the host of Mar­tyrs and Con­fes­sors who turned the Russ­ian land red became the seeds of sal­va­tion for the spir­i­tu­al rebirth of our peo­ple, in the Father­land and in the dias­po­ra. 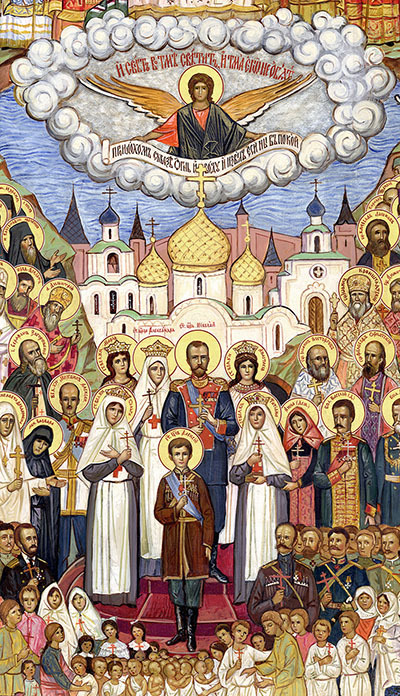 The Holy Roy­al Mar­tyrs (Detail from icon of the Holy New Mar­tyrs and Con­fes­sors of Rus­sia, by Archim. 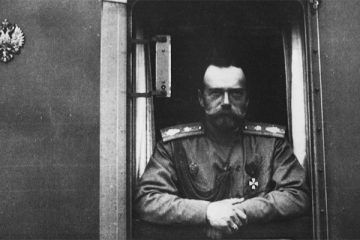 Kypri­an Pyzhov). Over my years of ser­vice to the Church, I have met var­i­ous peo­ple in Europe, North and South Amer­i­ca, Aus­tralia and New Zealand, who have emu­lat­ed Archi­man­drite Nicholas (Gibbes), once the Eng­lish tutor of Tsare­vich Alex­ei Niko­lae­vich. Wit­ness­ing the pro­found piety of the Roy­al Fam­i­ly, their lofty nobil­i­ty and exam­ples of spir­i­tu­al­i­ty, he grad­u­al­ly immersed him­self in Ortho­dox Chris­tian­i­ty. When World War I began, he bore wit­ness to the ideals of char­i­ty and empa­thy of the Roy­al Fam­i­ly towards sol­diers and their neigh­bors. After the Rev­o­lu­tion, the over­throw and unprece­dent­ed mock­ery of the Emper­or and the Roy­al Fam­i­ly, he, a for­eign­er, accom­pa­nied them to Tobol­sk, but was not allowed to con­tin­ue with them to Eka­ter­in­burg. In 1934, in the dis­tant city of Harbin, Chi­na, Alex­ei Gibbes was ton­sured into monas­ti­cism by the hands of the mis­sion­ary Arch­bish­op Nestor (Anisi­mov) of Kam­chat­ka and giv­en the name Nicholas in hon­or of St Nicholas the Won­der­work­er and in mem­o­ry of the Tsar-Mar­tyr. Today, many Amer­i­cans, Ger­mans, French­men, Aus­tralians and cit­i­zens of oth­er nations are approach­ing the sanc­ti­fied thresh­old of the Church of Christ, as did Archi­man­drite Nicholas in his day, after learn­ing of the won­drous exam­ple of faith, patience, humil­i­ty and endurance of suf­fer­ing with­out grum­bling by Tsar-Mar­tyr Nicholas and his August Fam­i­ly, com­par­ing their lives with those of the mar­tyrs of the ancient Church. Thank God, even among our own peo­ple, many have been inspired by the man­ner in which the pious Roy­al Pas­sion-Bear­ers calm­ly faced impris­on­ment, exile, suf­fer­ing and death. 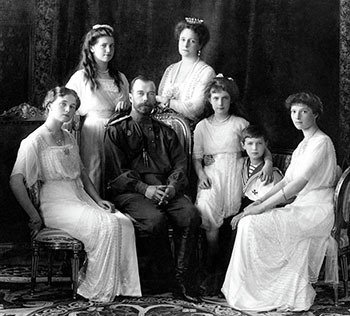 Tsar Nicholas II and his August Fam­i­ly, 1913. 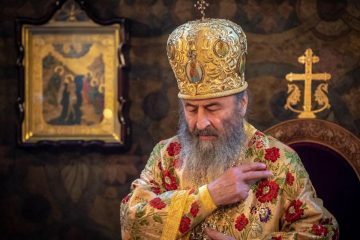 One can­not help but remem­ber the strug­gle of oth­er mar­tyrs who accept­ed suf­fer­ing for Christ 100 years ago: St Vladimir, Met­ro­pol­i­tan of Kiev, whose uncor­rupt hand with a ges­ture of bless­ing con­tin­ued to bless his mur­der­ers, and all of us who pray to him; St Andronik, Arch­bish­op of Perm, a one-time aide to St Nicholas of Japan, Equal-to-the-Apos­tles, and stu­dent of the founder of the Russ­ian Church Abroad Met­ro­pol­i­tan Antho­ny (Khrapovit­sky); St Vasi­ly, Arch­bish­op of Chernigov, sent to Perm to head a com­mis­sion of the All-Russ­ian Local Coun­cil to inves­ti­gate the mur­der of Arch­bish­op Andronik and earn­ing in that city the martyr’s crown along with oth­er mem­bers of the del­e­ga­tion. At almost the same time, the Bol­she­viks killed St Var­laam, Archi­man­drite and Abbot of Bel­o­gorsky Monastery of Perm Dio­cese, who enjoyed the spe­cial atten­tion and good will of Grand Duchess Eliza­ve­ta Feodor­ov­na and St John of Kro­n­stadt. By Divine mer­cy, Hegu­men Seraphim (Kuznetsov), for­mer head of a skete in Perm, along with sev­er­al oth­er of his monas­tic brethren, was deliv­ered from arrest and exe­cu­tion. 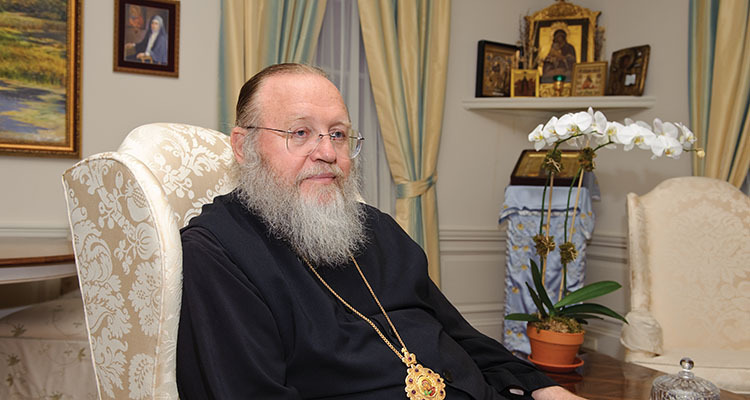 Fr Seraphim expend­ed great effort in trans­fer­ring the relics of the Mar­tyrs of Ala­paevsk: first the prince­ly mar­tyrs to Peking, then St Eliz­a­beth and Nun Bar­bara to the Holy Land, where he him­self lat­er found a final rest­ing place. The Holy New Mar­tyrs and Con­fes­sors of the Russ­ian Church are our hope for Divine mer­cy. These were our ances­tors, whose roots nour­ish us with God’s grace. With­out our prayer­ful bond with them, with­out pre­serv­ing their mem­o­ry and active­ly striv­ing and emu­lat­ing their faith and patience in our lives, we have no future. That is why we should study this rich­est of his­to­ries. Let us lov­ing­ly learn of the lives, suf­fer­ing and lega­cy of the Holy New Mar­tyrs and Con­fes­sors and com­mune with them in prayer, as we hear in the kon­takion of the feast: “that we also, when­ev­er the hour of tri­al finds us, may receive the gift of courage from God.” Amen. First Hier­ar­ch of the Russ­ian Ortho­dox Church Out­side of Rus­sia.